In this world, only few activities can compete with the thrill of boating in open waters surrounded in the company of friends and family. For fishing, entertaining guests, or simply getting away from it all with your family, boating cannot be denied as one of the best vacations at your finger tips. Lake Fairview Marina is a full service marina offering secured storage, pontoon boat rentals, sailboat rentals, a ship store and sailing lessons. Orlando is a short drive to either coast and has 104 named lakes which makes this a perfect centralized location for all your boating needs. 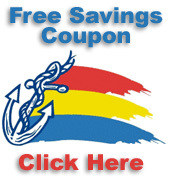 So make the investment into boating with Orlando's friendliest boat dealers, Lake Fairview Marina! Come see our fantastic line of new boats, featuring trailerable sailboats by Hunter Marine, Precision Boatworks, Com-Pac Yachts and Laser Performance. Our complete selection of sailboats which includes one design sailboats, daysailors, pocket cruisers and weekenders are sure to suit the needs of any sailor looking for adventure. 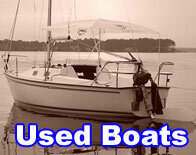 See a huge variety of previously owned boats. Our broad selection of power boats encompasses outboard, inboard / outboard and inboard boats such as john boats, bow riders, ski boats, off shore fishing boats, runabouts & trailerable power cruisers. 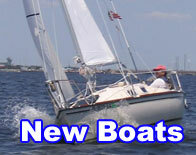 Our assortment of used sailboats ranges from one design and daysailors to trailerable weekenders. With our consignment sales, our selection continues to vary. Come See! Never before have I met a team of people so dedicated to making sure I was happy with my boat! Thanks Lake Fairview Marina! Rent our private Tiki Hut for your next event and party "Marina Style". Check out our Tiki Hut style gazebo at the harbor’s edge. Perfect for entertaining clients, birthday parties, wedding rehearsal dinners, corporate retreats, or simply gathering with your family and friends. The Tiki Hut and fire pit have become the traditional place to host holiday parties, company picnics and special events with a boating and nautical flare. Let us help you plan your next party.